As you probably know, Laravel 5.5 LTS was released 2 weeks ago. I won’t write about it here, but I’ve created Changes in upcoming Laravel 5.5 LTS release article a while ago on a blog of Devpark company where I’m lead PHP developer and Project manager. So if you are not familiar yet with Laravel 5.5 you can look at this article to find out a bit more about this release. 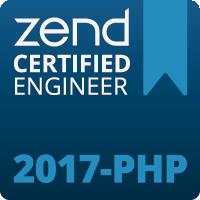 Also PHP 7.2 is getting closer. If you want to read about changes, I recommend you reading my another article about what was changed in PHP 7.2 to find out what you can expect of next PHP release.